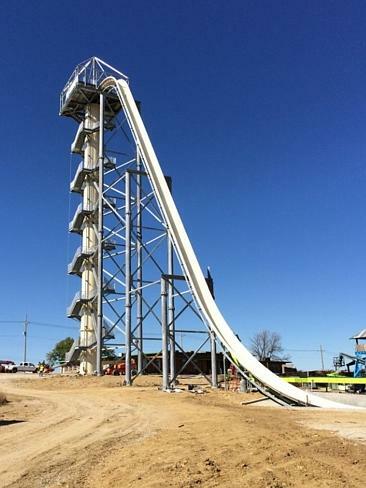 IT WILL allegedly be the highest and fastest waterslide … in the world. Will you take the ride of your life? 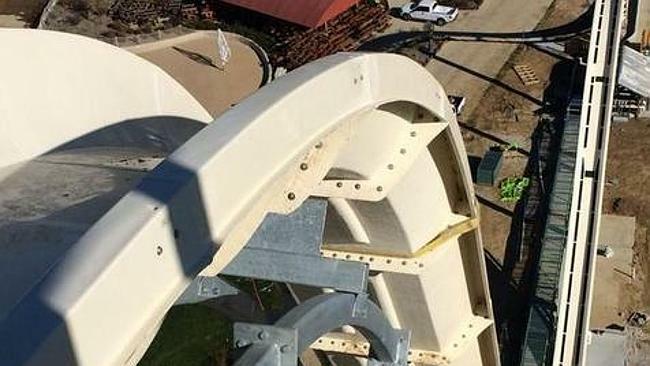 Appropriately called ‘The Verrückt’ (which means insane in German) Meg-A-Blaster, the slide (or supported fall) is due to open May 23 next year in the Schlitterbahn Kansas City Waterpark in America. New photos on the company’s blog who the project’s progress, and it’s already evident that this won’t be a ride for the faint hearted.